Nestled in the shadows of the Himalayan Mountains, Tibet has always been a land of mysticism and spirituality. With its breathtaking landscape and unique culture, Tibet trekking has always drawn adventurers to its high plateau for the landscape, the mountains, its immense lakes, and its sacred monasteries and temples. 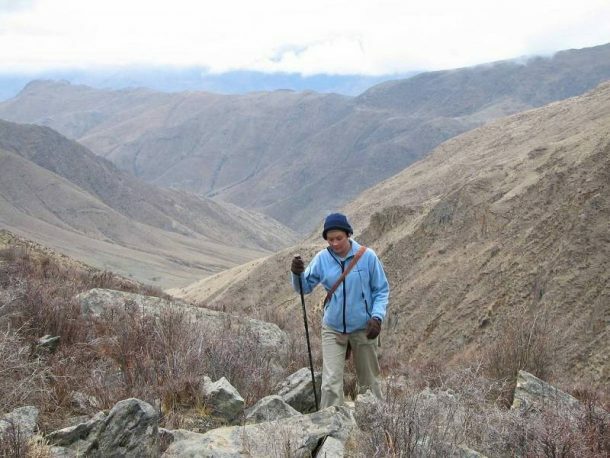 While backpacking around Tibet is not permitted for foreign visitors, Tibet trekking is a perfect way to explore this remote region at the roof of the world. You will get to see the landscape close up, instead of through the window of a car or train, and experience some of the more interesting aspects of Tibetan culture. 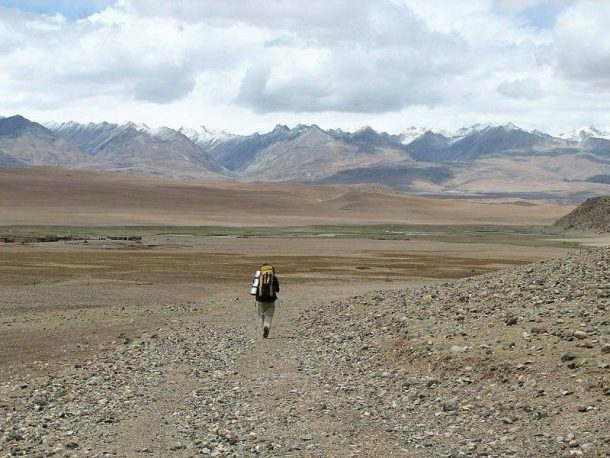 Trekking in Tibet can be categorized into three different types; pilgrimage treks, culture treks, and sightseeing treks. There are many routes you can take on any of the three types of trees, and each has its own unique experiences, taking you to places you never imagined existed. The classic Tibet trekking routes have been well established and it is an unforgettable experience to trek through arid landscapes and up mountain passes. This trek is a relaxing, easy route. Most of this route form due to pilgrimage sites. 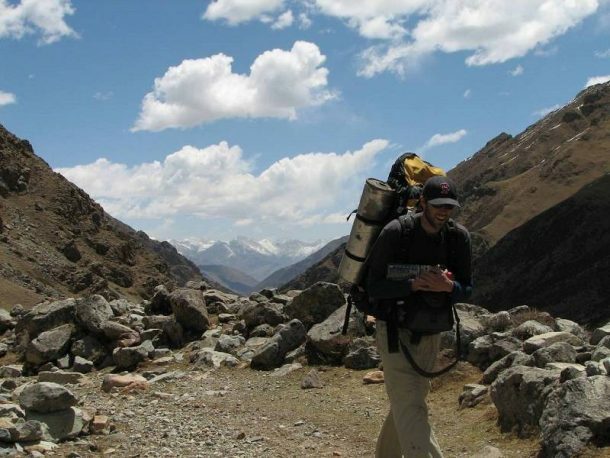 It is ideal for novices and experienced trekkers alike. Starting in Dezhong, in Maizhokunggar county, you can first enjoy a relaxing dip in the famous hot springs, which are believed to have healing properties. It is definitely good for the skin, and for anyone with joint or muscle aches. It is then a short trek to Drigung Thil monastery, which is one of the major temples of the Kagyu sect of Tibetan Buddhism. It is also a site for the Tibetan sky burial, although viewing it is taboo for visitors. The dead are chopped into pieces and fed to the vultures, which is believed to be an offering of your flesh to the other living creatures of the world. In Shannen Prefecture lies Sai town, and the famous Saika Guto monastery. This is the birthplace of the Kagyu sect of Buddhism, and the monastery includes a nine-story watchtower that is believed to have been built by Buddha Milarepa. At the foot of the holy mountain, Mt. Gulha Kangri, which stands 7,538 meters tall, lies Baimalin Tso. This beautiful lake is surrounded by lofty mountains, and legend says if your destiny brings you here, you can see all your past life when you look into its waters. 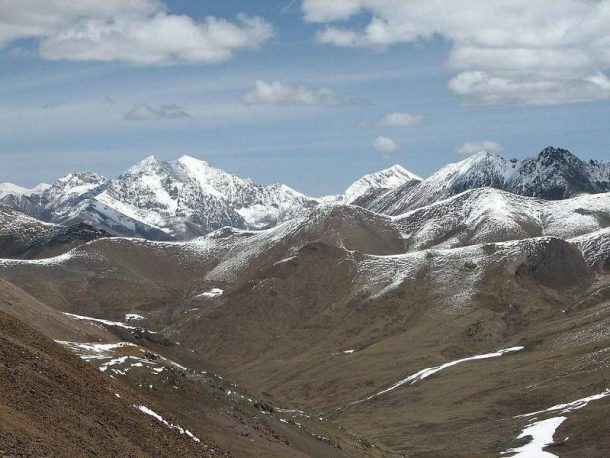 One of the most classic and popular treks in Tibet, as well as a favorite route for Chinese tourists, the Tibet trekking from Lhasa to Tsurphu Monastery and Yangpachen is a relatively easy one, suitable for beginners to the art of high-altitude trekking. The monastery is a major site for Tibetan Buddhism, and the hot springs of Yangpachen are the perfect way to end 3 days of trekking to relax those tired muscles. One of the most popular monastery treks, it takes a route that includes some of the most famous monasteries in Tibet. Ganden Monastery, one of the three great monasteries of the Gelug sect, is the first stop. Founded by Je Tsongkhapa Lozang-Dragpa, in 1409, it lies in a hilly natural amphitheater 40 km northeast of Lhasa. The next trek to Samye Monastery is an easy walk, and the monastery itself is steeped in history. The first monastery in Tibet, it was founded around 775 AD by King Trisong Detsen. The last stop is at the Chimpuk Hermitage, a group of cave-shrines to the northeast of Samye. Once the meditation retreats of Guru Rinpoche, it is surrounded by high mountains giving a very spiritual feel to the caves. 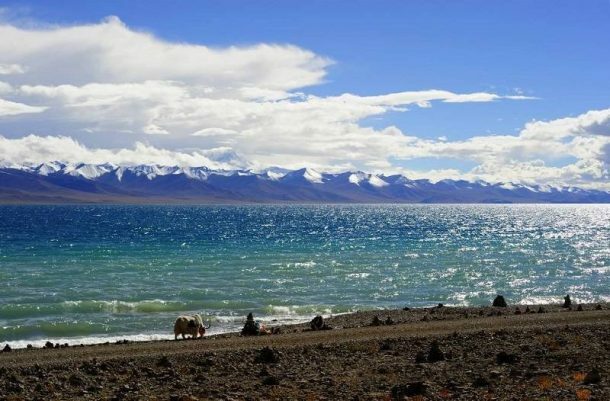 Trekking around one of the three most sacred lakes in Tibet is every pilgrim’s dream, and there are large numbers of tourists who come to the region to complete this 7-10-day trek. 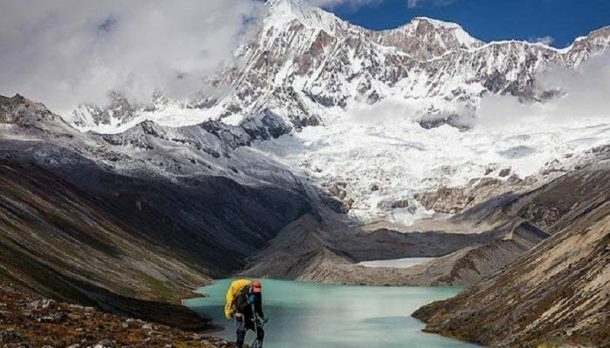 The kora route around the lake is one of the hardest in Tibet, and at an altitude of over 4,700 meters, it is a high-altitude trek that is only for experienced trekkers. 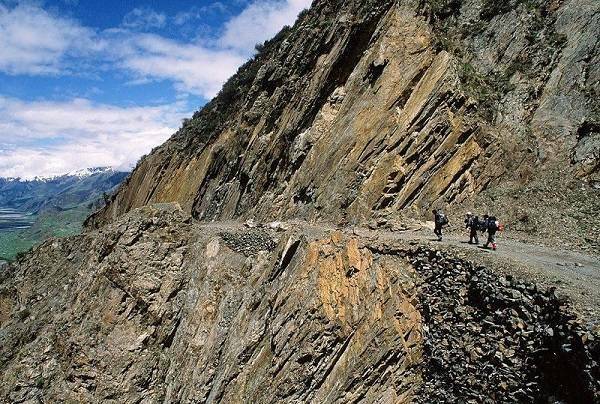 Notably, this is the longest of all the treks in Tibet, and the route follows the ancient Tea Horse Road. Even for the most experienced high-altitude trekkers, this hard and arduous route poses a huge challenge, and can take around a month to complete. The Tea Horse Road across China and Tibet is over 1,300 years old, and the spectacular scenery and lush landscapes along this trekking route make it worth the extra effort. 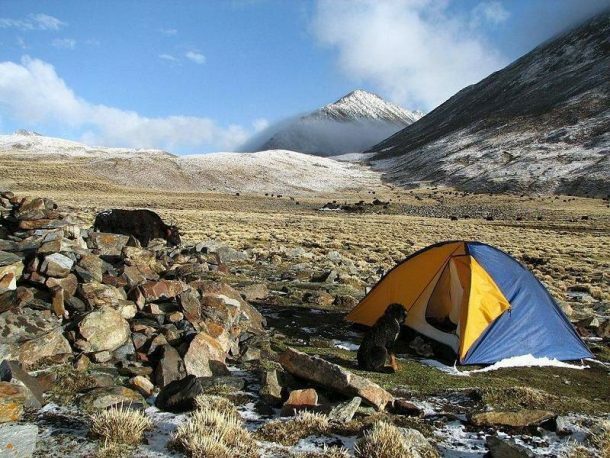 While travel to Tibet is available almost all year, trekking in winter is not recommended. April to October is the perfect time to trek, as the climate is mild, and not so cold. Summer is one of the best times to visit Tibet for trekking as the lush grass and plants all come to life after the monsoon rains, and the land turns a beautiful green. Rain is not really a problem in Tibet, even in the rainy season of summer. At such a high elevation, and with the surrounding mountains, there is very little rain in the west of Tibet, and it makes trekking more fulfilling. At almost any time of the year, warm clothes are a necessity in Tibet. While it might get quite hot in summer, the nighttime temperatures can still drop to almost freezing, so some warm clothes would be required. For trekking during the day, light clothes are sufficient, with a windproof jacket. It is recommended that you bring certain items with you, for safety’s sake. A first aid kit, water purification tablets, and sun lotion are recommended. You would also need to have a sleeping bag, comfortable hiking boots, and socks, a water bottle, toilet paper, a suitable backpack, a hat, a dust mask, and sunglasses. It is advisable that your first aid kit has medication for altitude sickness, but it is better if you are fully acclimatized before attempting a trek at high altitude. As the entire region is above 4,000 meters, altitude sickness can easily occur, especially if you are not acclimatized to the altitude yet. A few days acclimatizing is needed before you start the trek, and if you feel any of the symptoms of altitude sickness, you should let your guide know. The best way to treat altitude sickness is to descend to a lower altitude for a few days to rest. To get into Tibet, you will need a Chinese entry visa, and a Tibet Travel Permit. The permit is issued by the Tibet Tourism Bureau and can be obtained by Explore Tibet. For travel outside Lhasa, which is all of the trekking routes, you will also need the Alien’s Travel Permit, and for some areas, a Military permit as well. Foreign nationals are not permitted to enter Tibet without the Tibet Travel Permit, and it can only be obtained by the tour operators. All visitors are required to use a regulated tour operator, such as Explore Tibet, who will provide transport and a guide for the entirety of the trip. Your tour guide once in Lhasa can obtain other permits. Previous postBuddha and the Beginnings of Buddhism Next postTravel to Tibet: Is Tibet a good place to visit?